THE CORNISH HOUSE, Liz Fenwick’s debut novel, is launched! 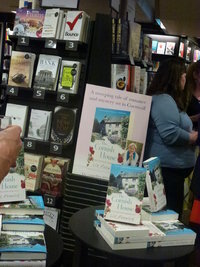 The debut novel of Liz Fenwick, THE CORNISH HOUSE was launched yesterday, 24 May, with a fabulous party at High Street Kensington's Waterstones. The room was adorned with Cornish flags, posters and displays of the book and guests were served delicious Cornish pasties too! A huge crowd came to toast the novel with several of Liz's friends, family and members of the Romantic Novelists' Association present - it was a great evening! Many author friends came to celebrate with Liz, including Judy Astley, Elizabeth Buchan, Marika Cobbold, Julie Cohen, Lesley Cookman, Christina Courtenay, Jean Fullerton, Henriette Gyland, Jenny Haddon, Fiona Harper, Kate Harrison, Bernardine Kennedy, Beryl Kingston, Sue Moorcroft, Adele Parks, Talli Roland and Stephanie Zia. When artist Maddie inherits a house in Cornwall shortly after the death of her husband, she hopes it will be the fresh start she and her teenage step-daughter Hannah desperately need. Trevenen is beautiful but neglected, a rambling house steeped in history. Maddie is enchanted by it and determined to learn as much as she can about its past. As she discovers the stories of generations of women who've lived there before, Maddie begins to feel her life is somehow intertwined within its walls. But Maddie's dream of a calm life is far from the reality she faces. Still struggling with her grief and battling with Hannah, Maddie is unable to find inspiration for her painting and realises she may have to sell Trevenen, just as she is coming to love it. As Maddie and Hannah pull at the seams of Trevenen's past, the house reveals secrets that have lain hidden for generations. Can a house heal a broken heart? Debut author Liz Fenwick's THE CORNISH HOUSE has been shortlisted for the RNA's Joan Hessayon Award 2012. The nominees are chosen from members of the RNA's New Writers' Scheme who have had their novels published in the last year. 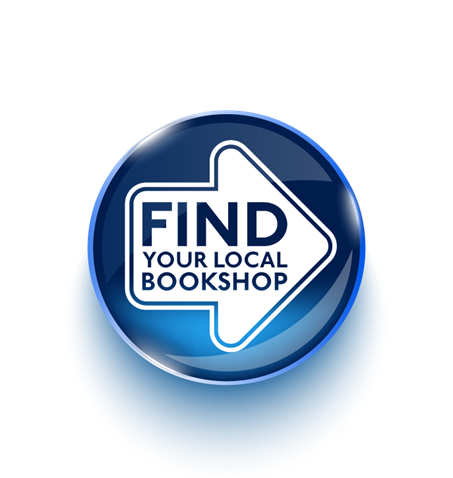 The New Writer's Scheme, run by the Romantic Novelist Association (RNA) since 1962, encourages first time writers in the genre of romantic novels by providing feedback and support from experienced writers and editors. Manuscripts that have then been published are then put forward for the award. The winner of last year's award was Charlotte Betts for THE APOTHECARY'S DAUGHTER. The winner will be announced at The Royal Overseas League in London on Thursday 17 May. THE CORNISH HOUSE will be published by Orion in May, as part of a two-book deal, and later by Goldmann in German, de Boekerij in Dutch and Quinta Essencia in Portuguese.